Today, spending time with youngsters is tough, and when my two boys got interested in fishing, I got thrilled. Even though you can forget about the peace & quiet when you have two energetic boys around, the excitement of a catch is amazing. During our mutual fishing experiences, I have taught them a lot about the basics and the fishing gear. My boys learned about the types of rods and lines and their basic differences. This one time my son lost a fish due to the line snap, and it was time for an upgrade – instead of the basic line, we got a braided fishing line installed for him, so next time that big fish strikes the bait, he will be ready to catch it. 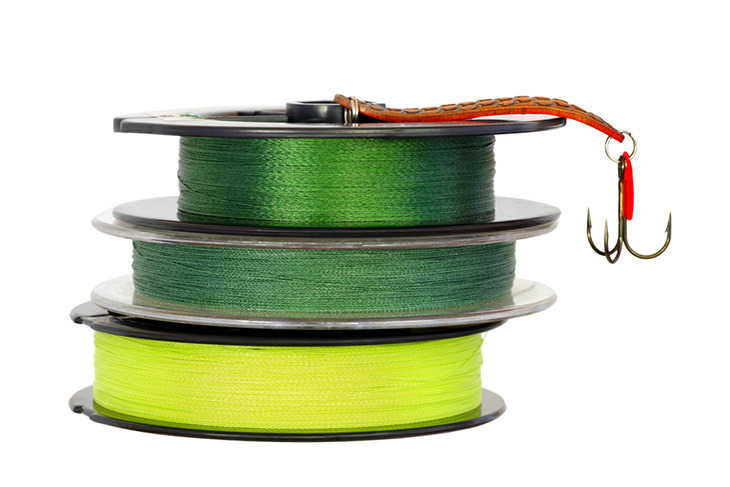 If you’re looking for an upgrade yourself, here’s what you need to know about fishing lines in general, and how to pick the best braided fishing line yourself. One of my rods has already been spooled with the KastKing SuperPower braid line for almost a year now. It is in Low-Vis gray color, and it does leak some color on my hands, but it easily washes off. On the contrary of the advertisement, it does fade in the sun, and the color of my line has turned into a kind of blue rather than gray, but this does not weaken the line. I haven’t been using this brand before, but as Power Pro braided fishing lines are so famous among the fishermen, and praised for their quality, I have felt obliged to include the brand in today’s research process. My boys and I bought and tested a Power Pro Spectra Fiber Braided Fishing Line (which comes in Hi-Vis yellow color and is meant to be used in the clear waters) for a few months now. I have included this brand on the list for review after reading numerous positive reviews on the internet. The brand is as famous as Power Pro and has a lot of supporters among the experienced anglers. Be careful though, that both brands seem to be counterfeited, and buy only from verified and trustworthy sellers. 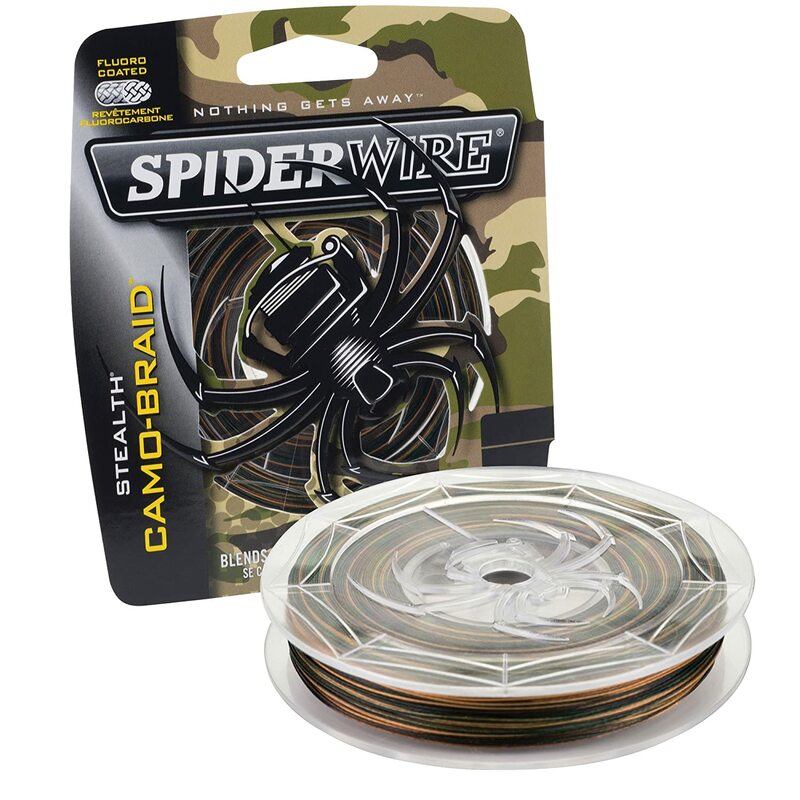 I have tested the Spiderwire braided fishing line for the same period I tested Power Pro. It is also very strong, but if it is windy, it tangles much more when I cast it. We have been using the Piscifun Braided Fishing Line often during our family fishing adventures, and it satisfied all our needs. The line comes in many colors, and the color itself is very resistant to fading and does not come off. It is advertised to have an epoxy coating, and I suppose that might be the reason for it. It is a four strand line up to 50lb strength, while the higher tensile strength of 65lb-150lb has eight powerful strands for even more power. I have had this brand recommended to me by my dear relative, an experienced angler, and I felt compelled to try it out and include it in this buying guide. He was quite right for recommending it, as I am satisfied with the quality of this braided fishing line. I have tested the multi-colored line, and the colors are bright and easy to see. It does leak some color though, especially in the salt water. 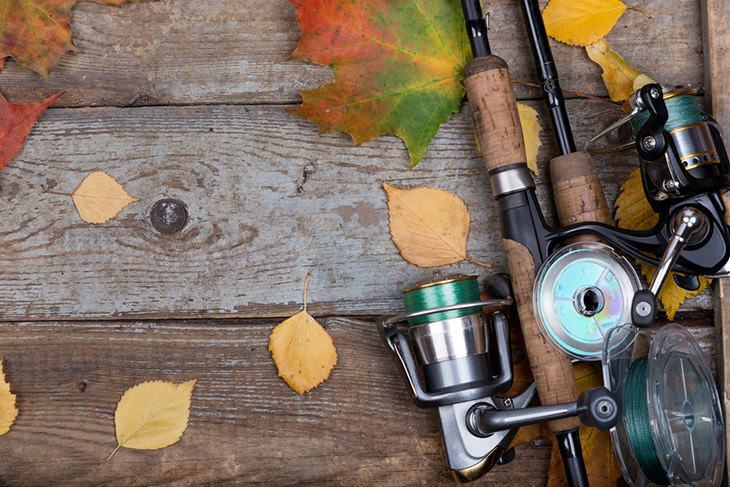 What Types Of Fishing Lines Are There? There are a lot of different brands on the market, but in my braided fishing lines reviews, I have included the ones that we have bought and used over the years, and have formed an opinion on. One of my rods has already been spooled with the KastKing SuperPower braid line for almost a year now. It is in Low-Vis gray color, and it does leak some color on my hands, but it easily washes off. On the contrary of the advertisement, it does fade in the sun, and the color of my line has turned into a kind of blue rather than gray, but this does not weaken the line. The price is reasonable for the quality you get since it is very long-lasting, does not break off or fray easily and casts very well. 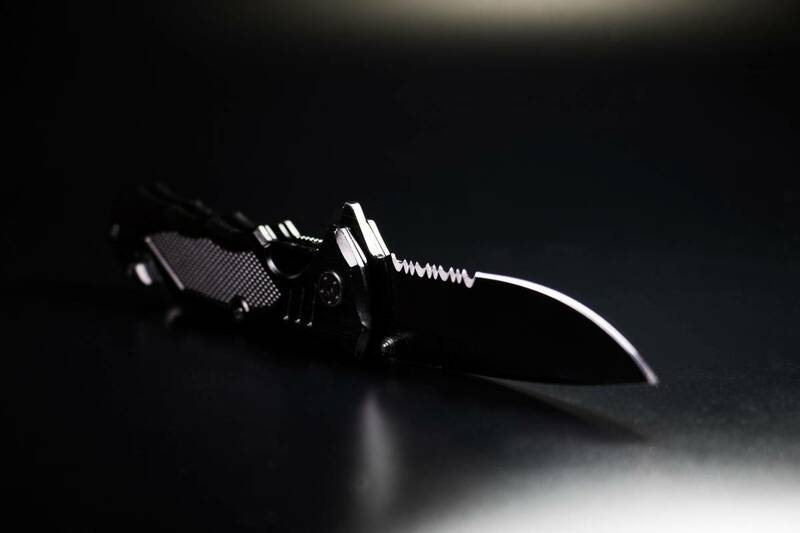 It is advertised as being made from strong fiber used in the bulletproof vests production, and it might be true, as it can pull out a pretty big catch. The strength is advertised in 10 – 150 lbs range, and I haven’t tested the ultimate weight it can withstand, but you can relax, with this line there is no fish that will break it. The line comes in various colorways to match your style or preference – from basic grey and green to even pink, yellow, and multi-color. The multi-strand technology includes from four to eight strands in layers, and the build quality is definitely superb. After using in both freshwater and saltwater, I can say that this is an excellent saltwater fishing line. After a few uses in saltwater without rinsing it, the line has never gotten stiff. I’m satisfied and would highly recommend this brand. One of my rods has already been spooled with the KastKing SuperPower braid line for almost a year now. It is in Low-Vis gray color, and it does leak some color on my hands, but it easily washes off.On the contrary of the advertisement, it does fade in the sun, and the color of my line has turned into a kind of blue rather than gray, but this does not weaken the line. I haven’t been using this brand before, but as Power Pro braided fishing lines are so famous among the fishermen, and praised for their quality, I have felt obliged to include the brand in today’s research process. My boys and I bought and tested a Power Pro Spectra Fiber Braided Fishing Line (which comes in Hi-Vis yellow color and is meant to be used in the clear waters) for a few months now. The price was a bit higher than I am used to, but it has proven to be of high quality. The package label says that it is made in the USA, and I guess that accounts for the higher price, as other lines are mostly produced in China. It is a great choice for fishing the pears as it is very visible and you can avoid getting tangled with the others around you. It is also the best line for bait casting I have used so far. It is unyielding, has a high pulling strength and spools very nicely when casting with the bait caster reel. 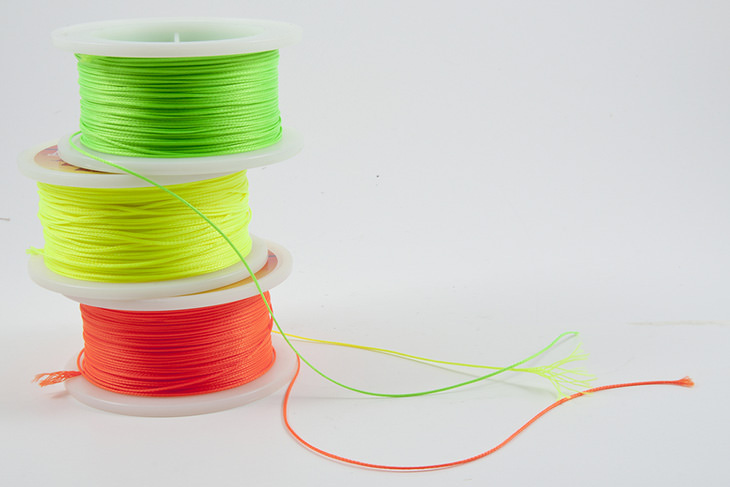 The line does not stick in the spool when casting again after reeling in a fish like some other lines we have used. It has absolutely no stretch, and you can feel even the artificial lure moving through the water. The best thing is that while using this line, neither my boys or I have lost a fish yet! . I haven’t been using this brand before, but as Power Pro braided fishing lines are so famous among the fishermen, and praised for their quality, I have felt obliged to include the brand in today’s research process.My boys and I bought and tested a Power Pro Spectra Fiber Braided Fishing Line (which comes in Hi-Vis yellow color and is meant to be used in the clear waters) for a few months now. I have included this brand on the list for review after reading numerous positive reviews on the internet. The brand is as famous as Power Pro and has a lot of supporters among the experienced anglers. Be careful though, that both brands seem to be counterfeited, and buy only from verified and trustworthy sellers. 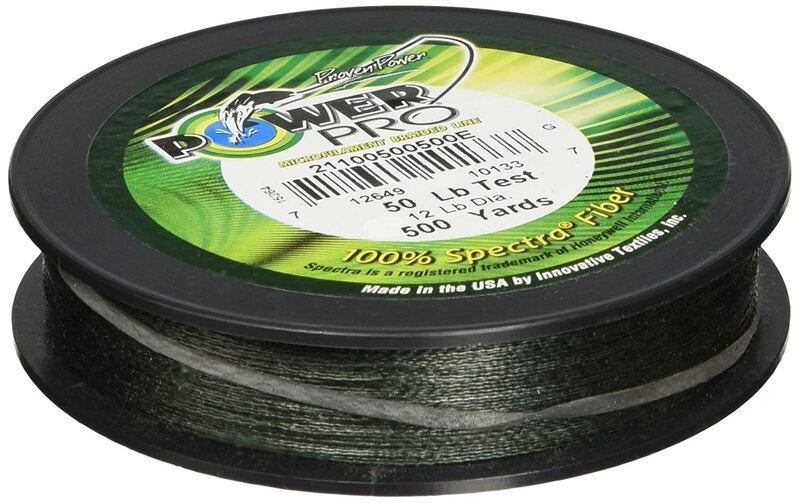 I have tested the Spiderwire braided fishing line for the same period I tested Power Pro. It is also very strong, but if it is windy, it tangles much more when I cast it. Furthermore, it ties itself into unbelievable knots which require at least half an hour time to untangle, and it is much easier to cut it off and lose a lot of the line. This has been mostly my problem since my fellow fishers haven’t experienced this. But, on the other hand, I have not had that issue with other braid lines, or at least not as much. Another problem I’ve noticed is the size of the spool. Namely, it was enough to fill up my reel, and there was a lot leftover, but not enough to spool another reel, and it seemed quite a waste. We have a glow-Vis green color which has not faded yet and is almost invisible under water. The line never broke off either, although, to be honest, I am yet to catch a big fish with it. It has a great sensitivity, as it does not stretch at all, and this gave me a great feel. I have included this brand on the list for review after reading numerous positive reviews on the internet. 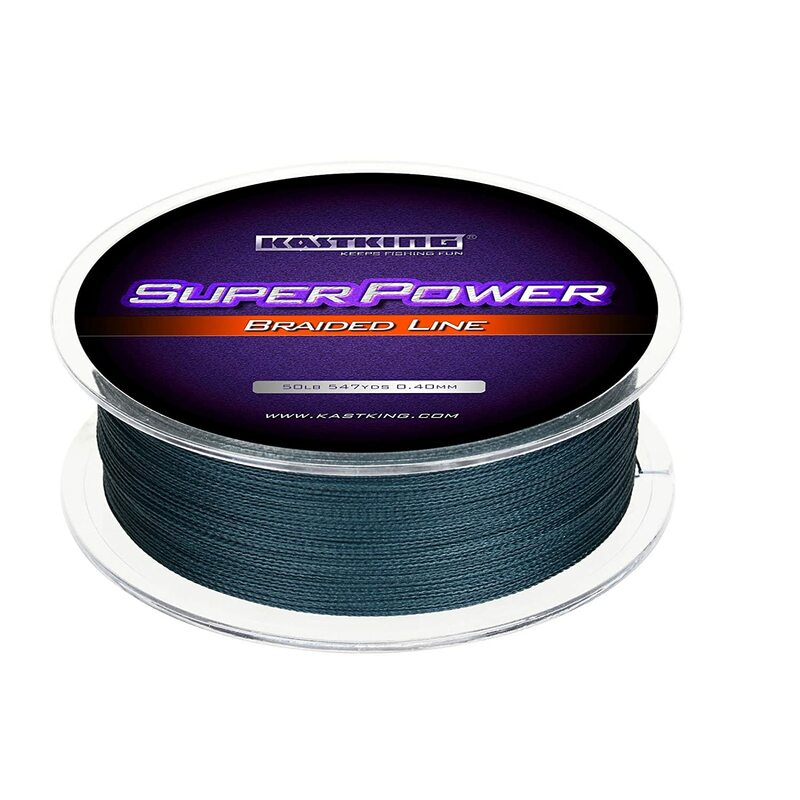 The brand is as famous as Power Pro and has a lot of supporters among the experienced anglers.Be careful though, that both brands seem to be counterfeited, and buy only from verified and trustworthy sellers.I have tested the Spiderwire braided fishing line for the same period I tested Power Pro. It is also very strong, but if it is windy, it tangles much more when I cast it. 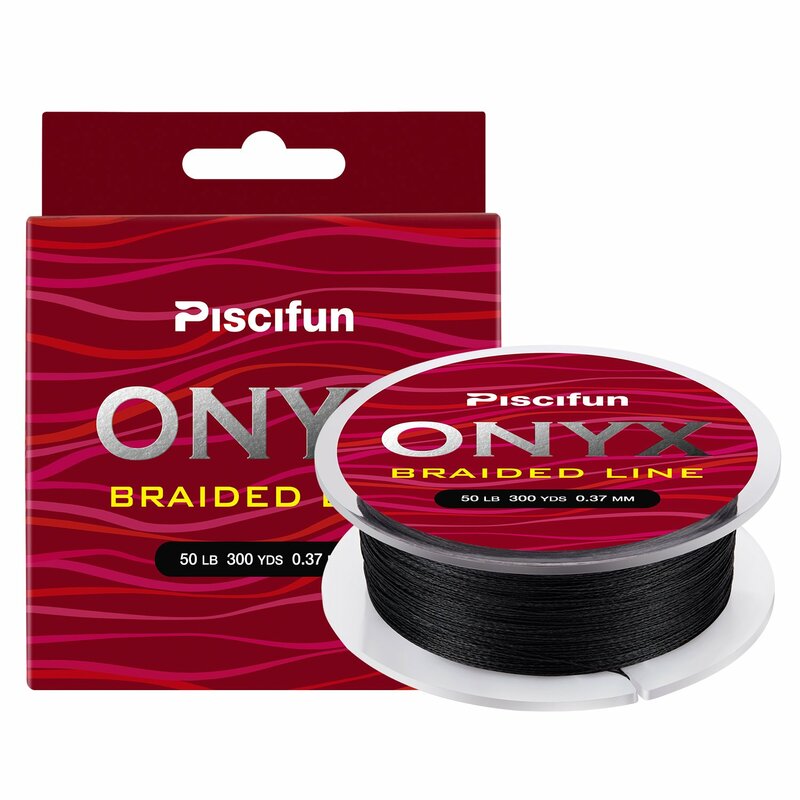 We have been using the Piscifun Braided Fishing Line often during our family fishing adventures, and it satisfied all our needs. The line comes in many colors, and the color itself is very resistant to fading and does not come off. It is advertised to have an epoxy coating, and I suppose that might be the reason for it. It is a four strand line up to 50lb strength, while the higher tensile strength of 65lb-150lb has eight powerful strands for even more power. The performance so far was flawless. The line is highly sensitive and very strong, and its price cannot be beaten. A contrary on the common thought, the low price definitely does not stand for low quality in this instance. 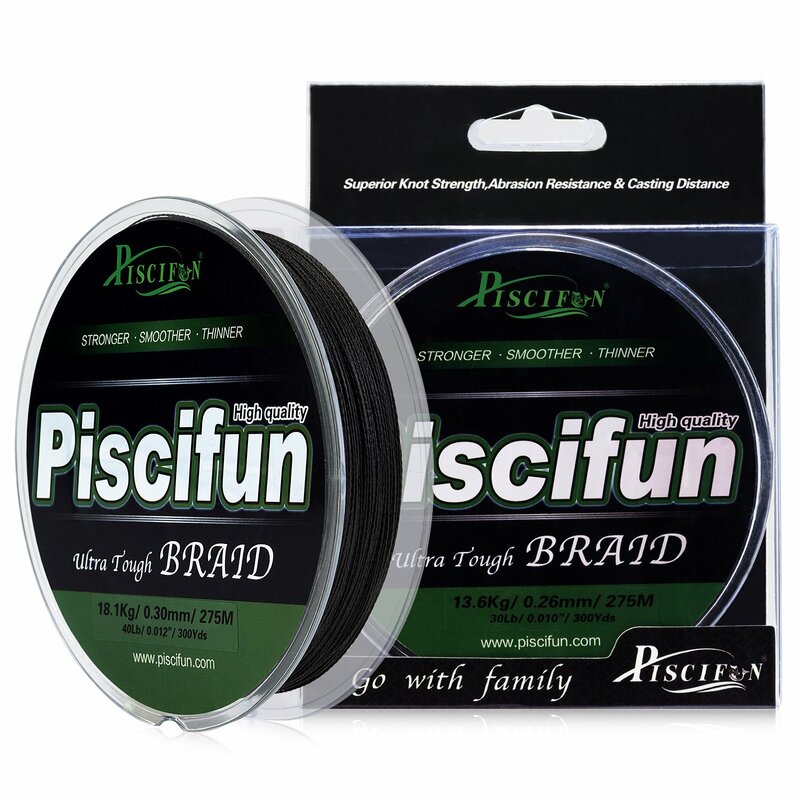 We have been using the Piscifun Braided Fishing Line often during our family fishing adventures, and it satisfied all our needs.The line comes in many colors, and the color itself is very resistant to fading and does not come off. It is advertised to have an epoxy coating, and I suppose that might be the reason for it.It is a four strand line up to 50lb strength, while the higher tensile strength of 65lb-150lb has eight powerful strands for even more power. I have had this brand recommended to me by my dear relative, an experienced angler, and I felt compelled to try it out and include it in this buying guide. He was quite right for recommending it, as I am satisfied with the quality of this braided fishing line. I have tested the multi-colored line, and the colors are bright and easy to see. It does leak some color though, especially in the salt water. The line is smooth and has a small diameter; it feels smooth on the hands and is very easy to work with. It casts pretty well with a lure, and I have not had any issues with tangles yet. In addition, it is easy to put on the reel, very strong and does not break off. I have not experienced any major problems with this line. The price is very reasonable, too. 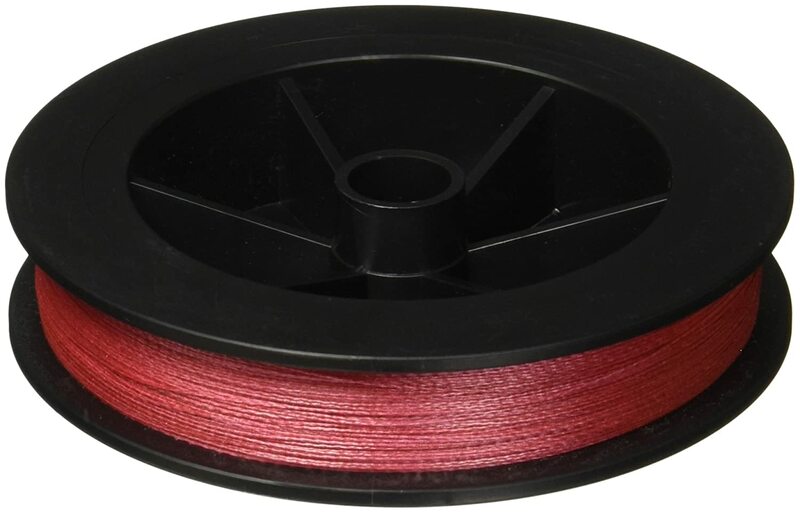 I have had this brand recommended to me by my dear relative, an experienced angler, and I felt compelled to try it out and include it in this buying guide.He was quite right for recommending it, as I am satisfied with the quality of this braided fishing line.I have tested the multi-colored line, and the colors are bright and easy to see. It does leak some color though, especially in the salt water. I will just shortly describe the two latter ones since they will not be a part of our discussion for now, but you should be able to recognize them and make some basic distinction. 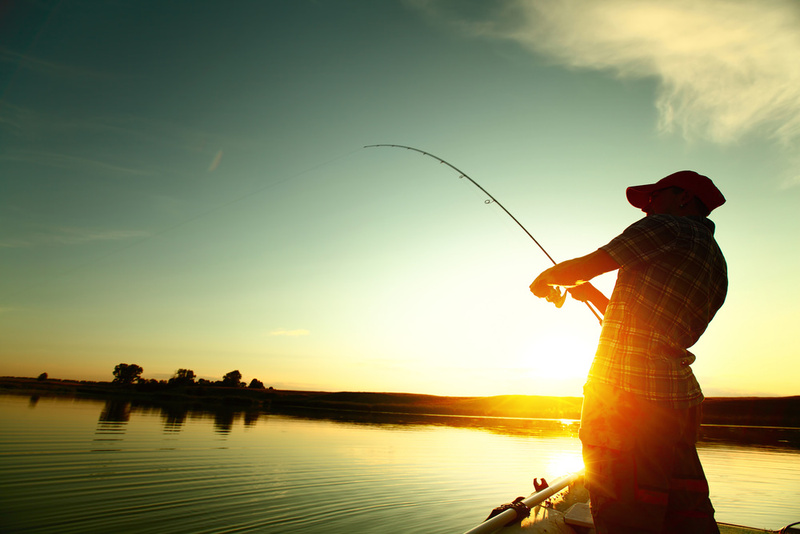 The monofilament fishing line has been used for more than 50 years. The main characteristics of the monofilament fishing lines are the good castability, low visibility to the fish and the great stretchiness. 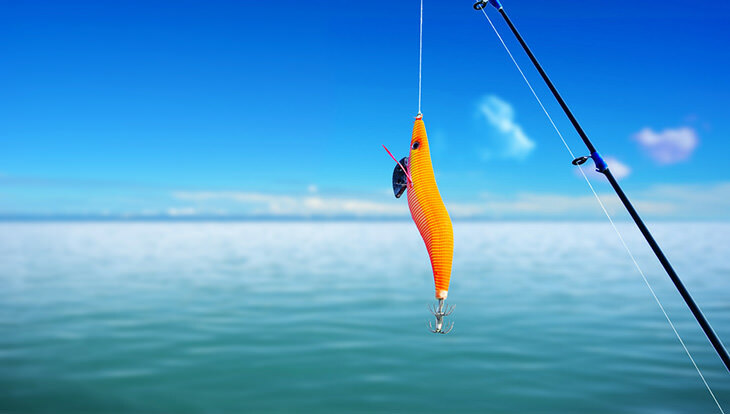 They float on the surface of the water, and they are, therefore, the natural choice for floating baits. Fluorocarbon fishing lines have been used as the main lines on spinning and casting reels for little more than a decade. The advantages of this type are tremendous castability, notably invisibility in water and no stretch. The disadvantages are that it sinks and is less abrasion resistant than monofilament. These characteristics make it a bad choice for floating lures. Braided fishing lines have been used for longer time than monofilament or fluorocarbon, and I’ve used them for a long time now. 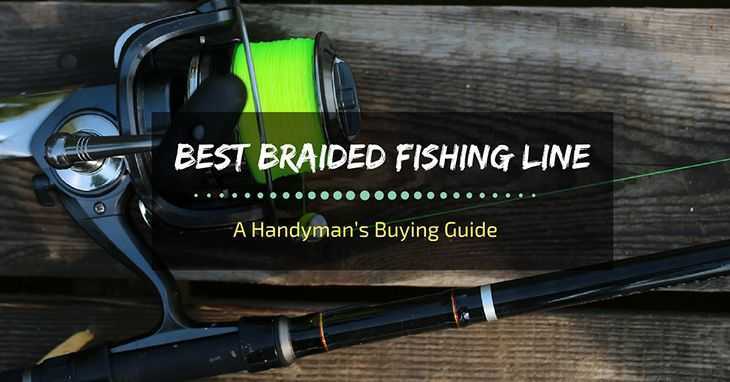 They are the most reliable – I’ve rarely broken a fish off using this type of braid. 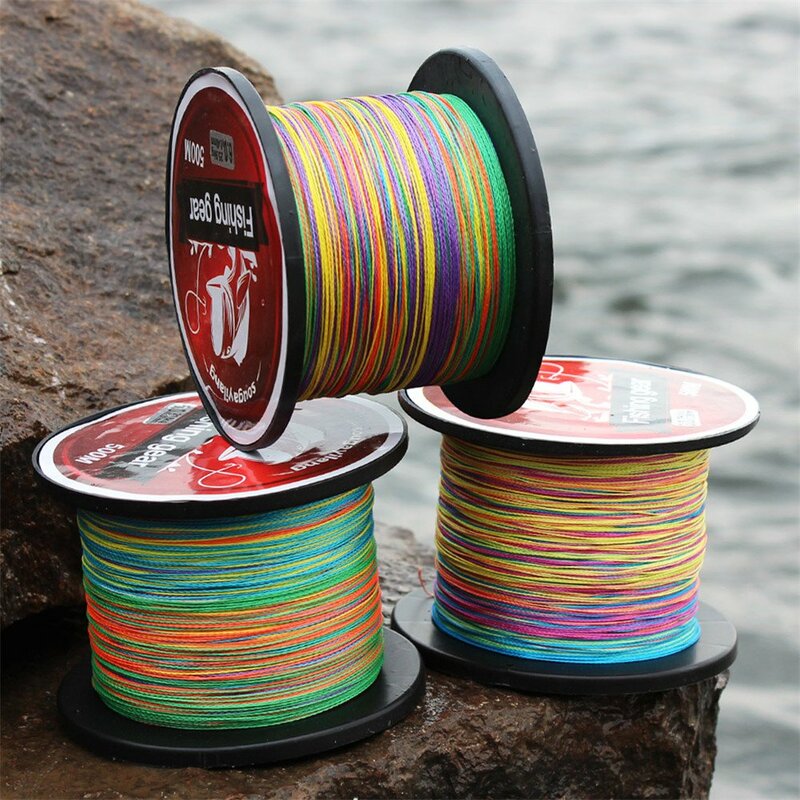 The main advantage of the braided fishing line is its incredible strength regardless of its thin diameter. The small diameter allows for the longer casts due to the less friction through the guides and less wind resistance. The second biggest advantage is that it has almost no stretch. If you add the extreme castability to the equation, you can come to understand why it is my favorite type. The braided line does not twist when used on conventional or spinning reels. On the other hand, it often happens to the monofilament and the fluorocarbon mono fishing lines after several catches, especially with the spinning reels. The less stretch makes it great for bottom fishing, and it can beat even the best monofilament fishing line at this. I like the fact that I am able to feel whatever is happening at the hook transmitted to my rod tip. In this way, it is much easier to feel the bite and react on time. Also, it is very durable; I put the braided fishing line on a reel almost two years ago, and although I have used it from time to time, and have not had that many fishes that could bring it close to its breaking point, I consider it very economical. A re-spool happens very rarely, maybe once a year. To be honest, in my modest opinion, there is almost none. The only disadvantage, in comparison with monofilament or fluorocarbon, is that the braided fishing lines are more visible. Still, if water is not very clear or the light is low, it does not really matter. Also, it is a bit hard to spool the line on the reel with weak hands (boys or women), as it requires some pressure. 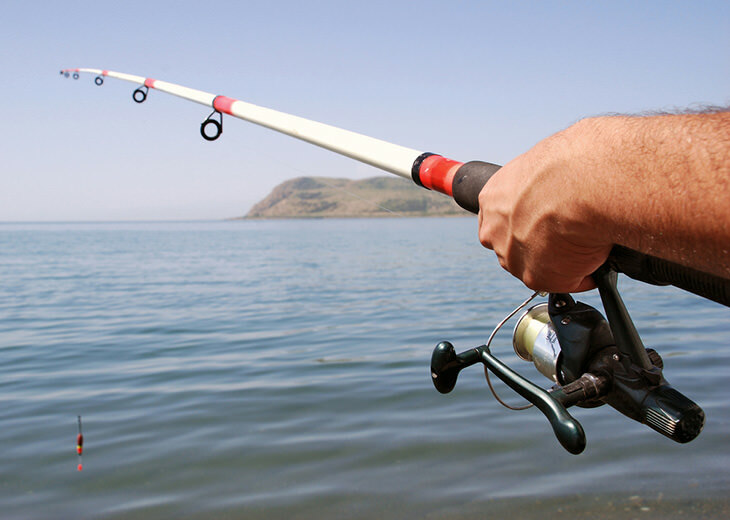 Because of the line’s strength, if you react too aggressively to the fish bite, you might get with an empty hook after all. This might be interpreted as a flaw, but actually, it’s not. You just have to be careful, that’s it. A braided fishing line doesn’t work well with many knots, but with the ones it does, it’s a perfect combination. For the hooks & lures, the Berkley braid knot is the best one you can get from my experience. With the time to make a decision, I have to sum it up and compare. Besides the wide colorway, the Piscifun Braided Fishing Line is undeniably very abrasion resistant, durable, and resistant to tangling. Depending on the color you pick, you’ll have either an invisible line or a very visible line, which is great. On top of all that, the line comes at a fraction of the cost of other brands. 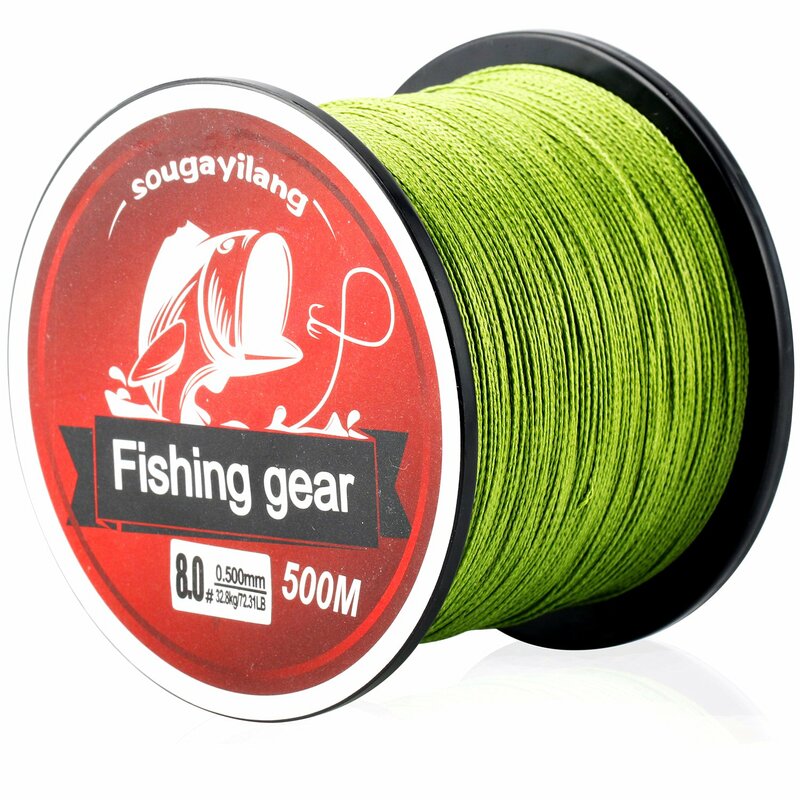 I am pretty sure that you will be very satisfied with this braided fishing line like I was. Happy fishing!